When Rob Ducey was looking to make his break into the big leagues from down on the farm with the Toronto Blue Jays, he knew it would be a difficult path to pave. Toronto’s outfield was already home to three stars who appeared to be mainstays in George Bell, Lloyd Moseby and Jesse Barfield. But Toronto-born Ducey made his way home early in the summer of 1987. It also happened to be the year that Bell would go on to win the American League MVP, becoming the only Blue Jay ever bestowed with the honour. And on Saturday morning, the 48-year-old was reunited with Bell once again, this time as they were inducted into the Canadian Baseball Hall of Fame. The two former Blue Jays were honoured alongside Montreal Expo Tim Raines, the late Blue Jays broadcaster Tom Cheek and deceased builder Nat Bailey. “This is very similar to my career,” Ducey joked. “These guys are the stars and I kind of sit back and watch the action. Ducey has been sharing his shining moments ever since the very beginning of his career. When he came up with the Blue Jays, the crowd enjoyed every milestone he reached on home soil. In his Toronto debut, the outfielder carried a standing ovation right through his entire first at-bat – the most exciting fly out he would ever hit. But Ducey’s road to the big leagues as a young Canadian player was one much less travelled almost three decades ago. He was in a different time, a different era of baseball in Canada. “When I was young there were maybe four or five [Canadian] guys that were actually playing in the big leagues,” Ducey said. “The opportunity for kids to advance definitely wasn’t as great as it is now. The national baseball program has gone from being an incredibly undervalued entity when Ducey started playing to now being ranked sixth in the world. Without as much exposure for ballplayers from north of the border when Ducey was beginning his career, he felt increased pressure to represent an entire country while playing the game that he just loved to play. “Going into spring training [with the Blue Jays] it was like wearing a Canadian flag on my back sometimes, which is very, very difficult,” he said. “That added pressure to perform, not only at the level that I had to perform at, but with the country watching this Canadian kid do what he does. That was difficult. 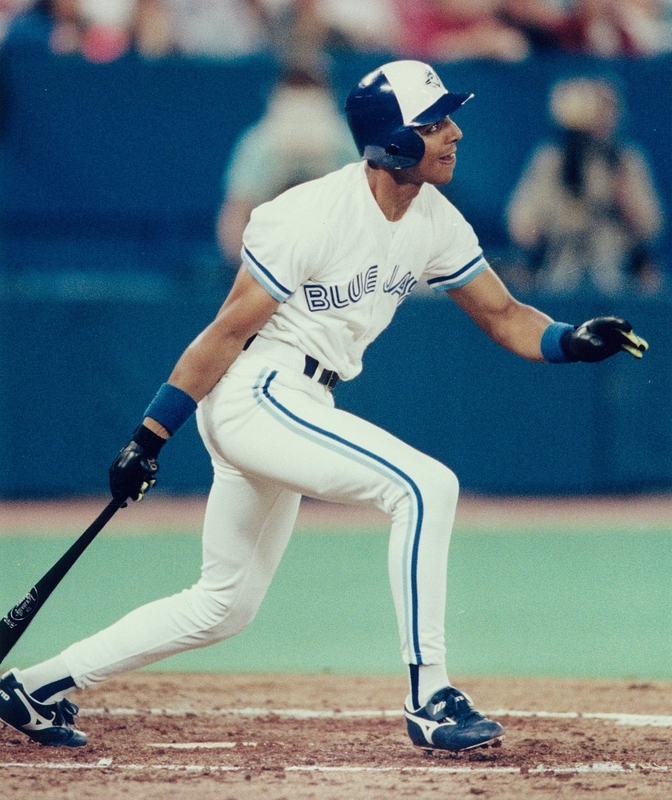 A young Canadian kid with the world in his hands, thrust into the Blue Jays environment with the country’s expectations permanently weighted on his shoulders…sound familiar? The opportunity is there now for many young Canadian players, with high hopes of someday making it to The Show. For Ducey, those dreams not only came true, but he got to play for both of the only two teams in his home country, beginning his career with Toronto at their peak and finishing his playing days out with the Expos, unfortunately during their decline. His path will look to be one more travelled in the future, with many young Canadian stars on the rise and hopefully headed to join Ducey in the Canadian Baseball Hall of Fame. Note from Kevin Glew: Alexis Brudnicki is a fellow Londoner and one of the rising young stars in baseball writing in Canada. I’m always impressed by the quality of her work. Please take the time to “Google” her name and you’ll come across some of the excellent articles she has written for CBC Sports, MLB.com, Baseball America and the Canadian Baseball Network. Rob Ducey is all Canadian…everything he does is excellent.